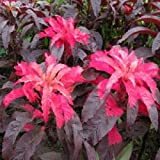 Amaranthus hypochondriacus for sale – Easy plant to grow with edible leaves or seeds, mostly grown for the ornamental leaves and flowers, planting in early spring to summer, better to buy seeds or another option to start from plant. 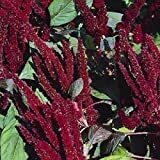 Amaranthus hypochondriacus for sale- When is the best season to buy amaranthus hypochondriacus? 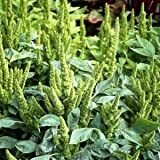 What need to know before buying amaranthus hypochondriacus? Amaranthus hypochondriacus for sale the season to buy can be all year but keep it in dry, cool and dark place and sow it in the spring, need to know before buying Amaranthus hypochondriacus it’s strong and easy plant to grow, need full sun, average amount of water, better to mulch, it’s aggressive plant and can be invasive and to prevent need to cut the blooms before the seeds.